Highlights of the Sky Bet League One game between Walsall and Burton. 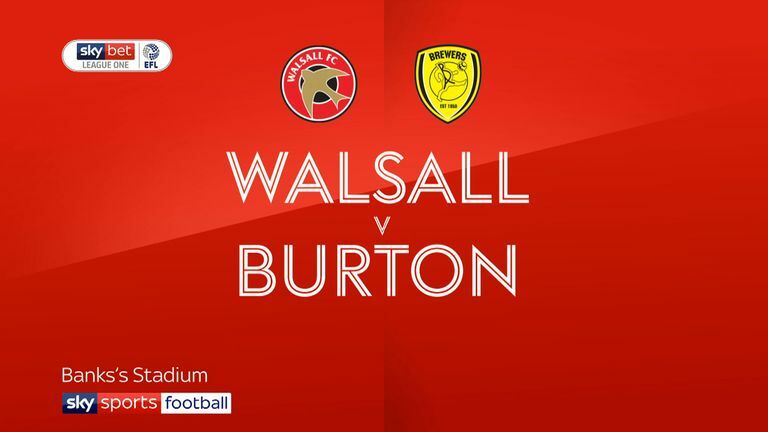 Carabao Cup quarter-finalists Burton produced a dominant display to cruise to a 3-1 win at Walsall. Albion could have been two up inside five minutes but Scott Fraser's point-blank strike was saved by Liam Roberts, and Liam Boyce lashed a penalty against the bar after being felled by Isaiah Osbourne. But the Brewers did go ahead on 13 minutes as Jamie Allen's heavily deflected 20-yard strike beat Roberts. 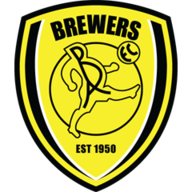 Burton doubled their lead on 25 minutes as Jake Hesketh's through ball freed Devante Cole to fire home. Fraser strode into the area before drilling into the bottom corner to make it 3-0 on 47 minutes and it was nearly four as Stephen Quinn's dipping 25-yarder struck the bar a minute later. 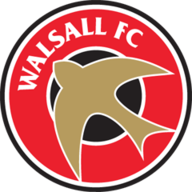 Walsall striker Andy Cook hit the post from close range after rounding Brewers keeper Brad Collins but atoned for that miss by turning home Morgan Ferrier's cross on 77 minutes. However, that was a mere consolation for the outplayed hosts as Burton registered just a second away league win of the season.